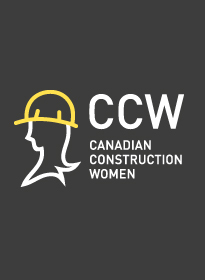 Since 1981, Canadian Construction Women (CCW) has been engaging our members by hosting monthly tours, speakers, socials, and workshops as well as an online community. Canadian Construction Women provides members with opportunities for support, mentoring, networking, community involvement, learning and development, in order to see that a career in the building industry offers a world of opportunity. Traditionally, construction was not a field that women considered as a place to work. In fact, women historically were encouraged into teaching, nursing or clerical positions. Times have changed. Through government, industry and organizations like Canadian Construction Women (CCW), there is a commitment to increasing women’s representation in non-traditional roles like construction. We exist to attract and retain women in the industry. Construction is one field that is actively recruiting women. Through the efforts of government, industry and organizations like Canadian Construction Women, there is a commitment to increasing women’s representation in the field. Click here to view the current CCW Board of Directors.